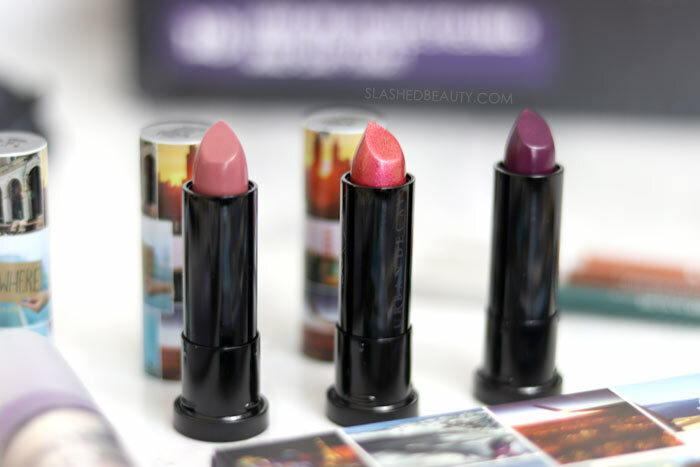 Urban Decay has been on their game since spring, rolling out full on collections with corresponding eyeshadow palettes, lipsticks and liners. They’re making my head spin every time I spot something new on social media— are you sleeping, Urban Decay team? Are you okay?? Just checking because it’s a lot! There was a lot of backlash against the Backtalk palette, with people reporting that the pigmentation and quality of the shadows lacking the usual standard we’ve come to trust from the brand. 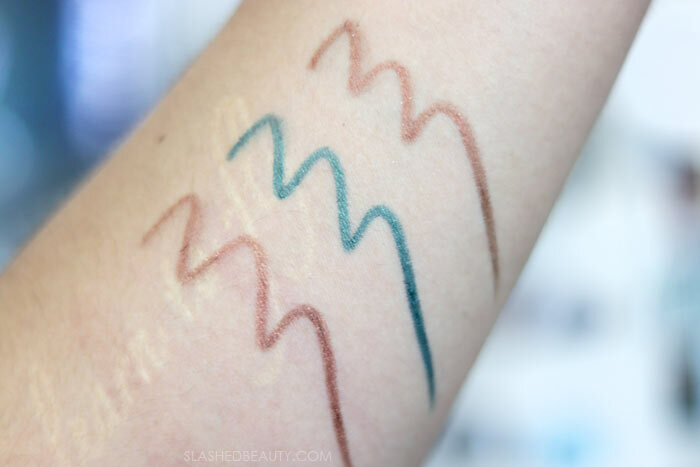 The Beached collection was a great follow up, full of summer-ready shades— though I had one big problem with the eyeshadow palette: the lack of balance between finishes. It’s not very versatile and I can’t see myself relying on it for multiple full looks. But as soon as I peeped the Urban Decay Born to Run palette, and the rest of the collection, I knew this is exactly what I’ve been wanting from the brand. 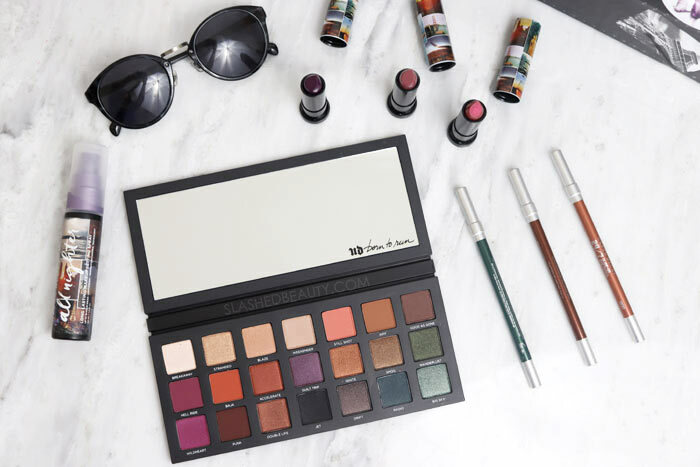 The palette was designed with travel in mind, with 21 shades to give you enough options for endless looks. Whether you’re going for neutral, colorful, sultry and everything in between, there’s enough balance in this palette between colors and finishes to make it an all-in-one. These shadows have that classic UD formula that’s super buttery and ultra pigmented— even those mattes!! I haven’t found any duds out of all 21 shades— they’re all high-impact and easy to glide over the lid. They also blend like a dream, and blend well together so you can mix and match to your heart’s desire. 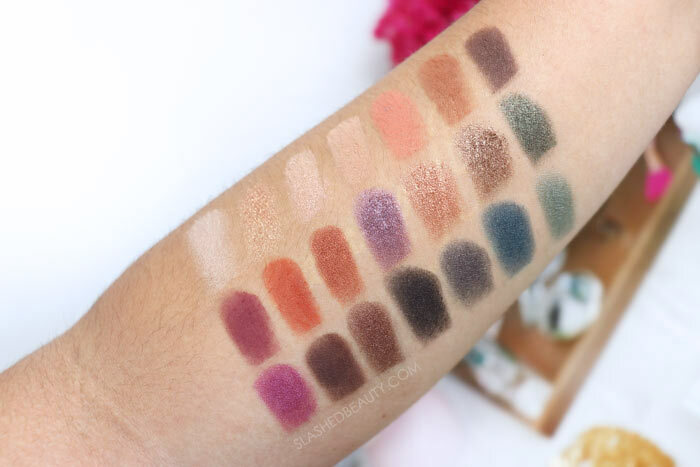 They’ve done extremely well on this palette in regards to incorporating both warm and cool tones that are very trendy, which is a nice refresher after all the Naked Heat-inspired makeup we’ve been getting everywhere else. With past palettes from the brand really focusing on a narrow color story (cool taupes, warm neturals, rose gold), but this one gives us versatility to play. 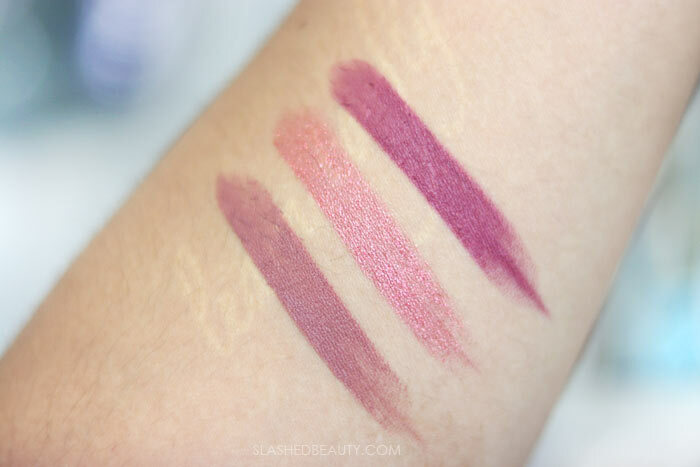 I’d also like to point out that these shadows are vibrant enough (even the neutrals) to show up on darker skin. I’ve seen a ton of great swatch photos on Instagram that shows how well this applies across skin tones. Literally my only gripe with the palette is that for a travel-focused palette, they didn’t seem to really think about the packaging. Even though it’s a good size, it’s heavy. Plus… it’s a magnetic closure that doesn’t really feel very strong in my opinion. You don’t get the satisfaction of a “snap” or latch, which does make me worried about having it open in transit. Packing it well should help prevent any mishaps. The palette itself is a nice solid plastic, so I think it will at least survive minimal rattling around. If you’re looking to splurge on something new, this is definitely the one to get. 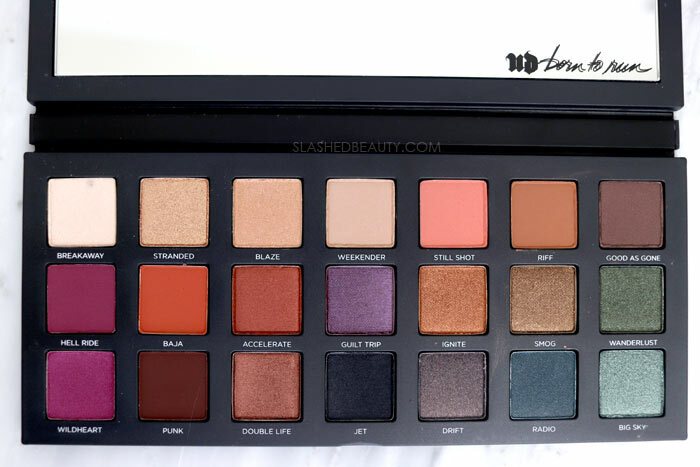 For $49, I think it is one of Urban Decay’s best palettes of their recent launches. It just makes sense— you get more for your money because you are getting so much usability out of the one product instead of having to dip into other shadows or palettes to finish the look. It’s an every day palette, a date night palette, a festival palette, a colorful palette, an everything palette all in one. I feel like this is going to be one of those instant classics that people will be using for years. 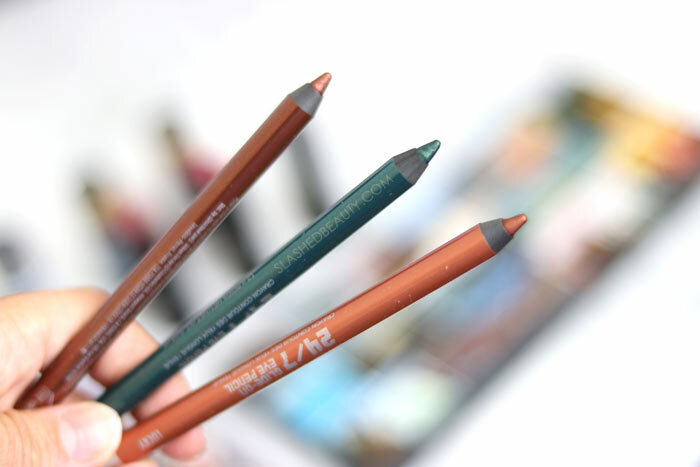 Along with the Born to Run palette, the brand released three Vice Lipsticks and 24/7 Glide On Eye Pencils. I would say these are definitely less of a must-have than the palette, and probably dupe-able at the drugstore, though still very high quality and what you’d expect out of the products. They’ve also repackaged their All Nighter Long-Lasting Makeup Setting Spray with a new travel-themed packaging for some fun. Have you tried any of the Born to Run products yet?